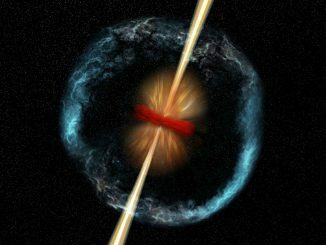 Gamma-ray bursts, or GRBs, are some of the most violent and energetic events in the universe. Although these events are the most luminous explosions astronomers can observe, a new study using NASA’s Chandra X-ray Observatory, NASA’s Swift satellite and other Earth-based telescopes suggests that scientists may be missing a majority of these powerful cosmic detonations. Using data from NASA’s Fermi Gamma-ray Space Telescope and other facilities, an international team has found the first gamma-ray binary in another galaxy and the most luminous one ever seen. 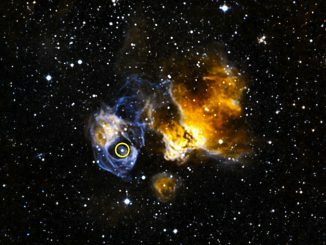 The dual-star system, dubbed LMC P3, contains a massive star and a crushed stellar core that interact to produce a cyclic flood of gamma rays. 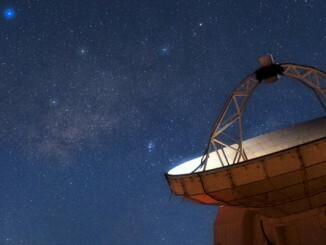 Astronomers building an Earth-sized virtual telescope capable of photographing the event horizon of the black hole at the centre of our Milky Way have extended their instrument to the South Pole.